Gandinagar, Nov 19: The Congress on Sunday released its first list of 77 candidates, which included one PAAS leader, for the first phase of Gujarat assembly elections on December 9. The party's Central Election Committee finalised the list, as per which senior leader and sitting MLA from Abdasa, Shaktisinh Gohil, has been fielded for Mandvi seat. The Patidar Anamat Andolan Samiti (PAAS) convener and leader Lalit Vasoya will contest Dhoraji seat. PAAS conveners Dilip Sabwa and Manoj Panara, whose names the Patel group claimed were included, do not figure in the Sunday list. 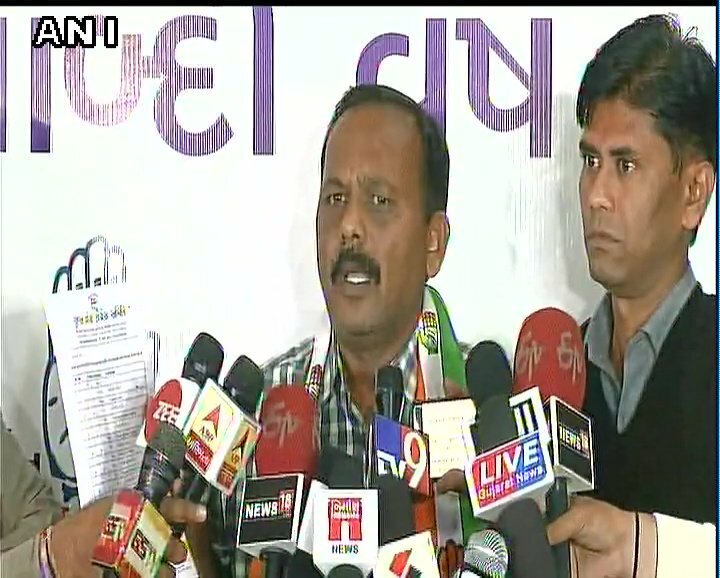 The Rajkot West seat will see Indranil Rajguru, sitting MLA from Rajkot (East), pitted against Gujarat Chief Minister Vijay Rupani. He has been challenging the Chief Minister for a long time.